The Hidden Leaf Village is filled with excitement upon the arrival of the Kage for the Five Kage Summit. 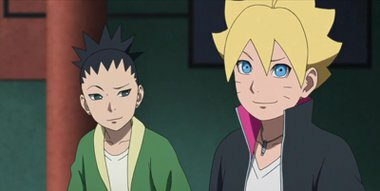 Boruto knows that security is tighter than usual, but he still plans on pulling a big prank. Meanwhile, Sarada has found a new goal, to become the Hokage, and trains hard. Behind closed doors, the Five Kage discuss highly classified intel that Sasuke has obtained involving Kaguya Otsutsuki.